Research shows that 7 in 10 girls believe they are not good enough or do not measure up in some way. Our evidence based programs build social emotional intelligence and self-esteem. 93.4% of parents agree or strongly agree that LiveGirl has had a positive impact on their daughter’s self-esteem. Our leadership summits bring together middle school girls from across Fairfield County for a variety of empowering learning experiences that encourage girls to explore their potential and believe in themselves. All summits feature a keynote speaker, mentoring, & fun team-building activities. 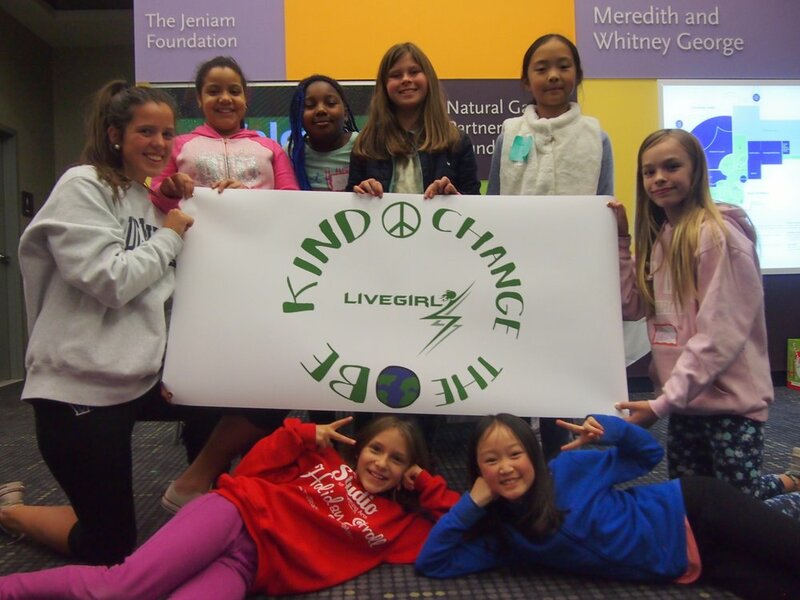 LiveGirlTalk is a 10-week facilitated discussion group that creates a BRAVE SPACE for girls. The small group meets weekly with a professional mentor to share concerns and interests. The curriculum-based program builds social emotional intelligence and self-esteem, the building blocks of a confident leader. This is a small group (maximum 24), 3-hour intensive leadership experience. Interactive and fun, girls emerge from these sessions with the tools to live their brave, kind, true selves. They will be raising their hands, advocating for themselves and others, and embracing their own unique selves. This hands-on curriculum is proven to build social emotional intelligence and self-esteem. The Academy fee is $50 to cover direct cost of outside instructor. Join us for a fun summer experience while developing your leadership and entrepreneurial skills for social good. After hearing how/why Sheri West founded LiveGirl and studying several case studies of teens who have launched social good projects, you will discuss what YOU care about and decide upon a community impact project. You will then be guided to plan and execute the project. The final step will be reporting out to a panel of Girl Bosses. Through the week, you'll learn project planning, teamwork, collaboration and communication skills while having fun (lots of fun team-building games!) and making a positive impact on the world! Go LiveGirl! Session fee includes a t-shirt and journal.